June the 10th is Portugal day (dia de Portugal). 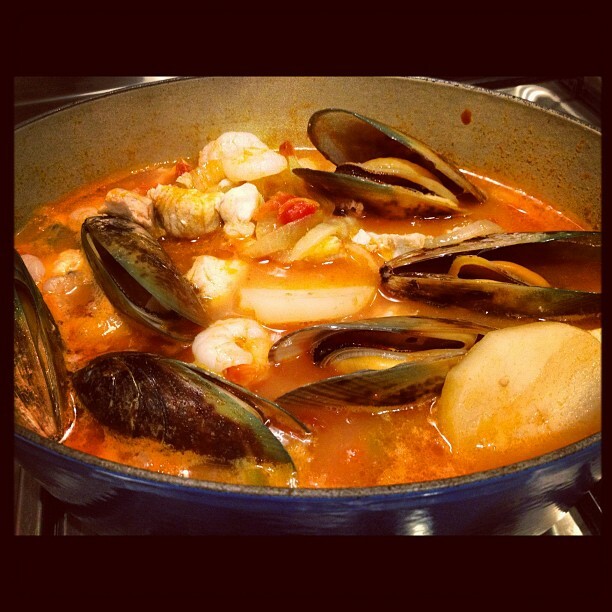 I’m making Caldeira de Peixe which is a fish and seafood stew, similar to the French bouillibaise. The ‘caldeira’ refers to the preparation of the dish, and the copper pot in which it is cooked. 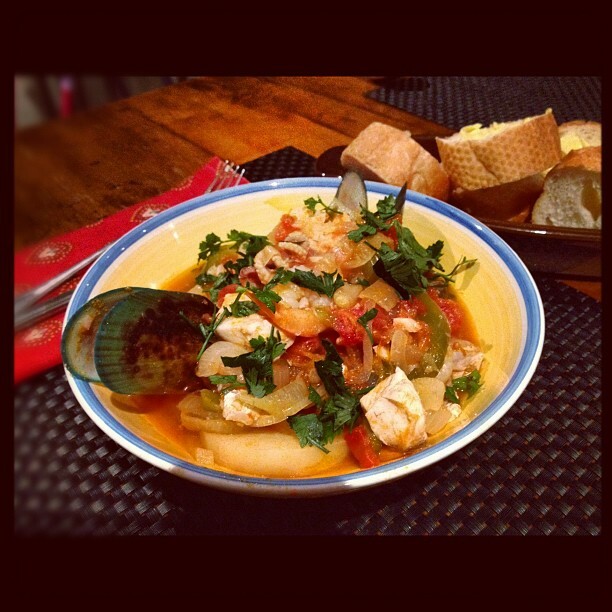 For my 30th birthday a few and a bit years ago we went to the Algarve in Portugal and had the most delicious Calderia de Peixe. 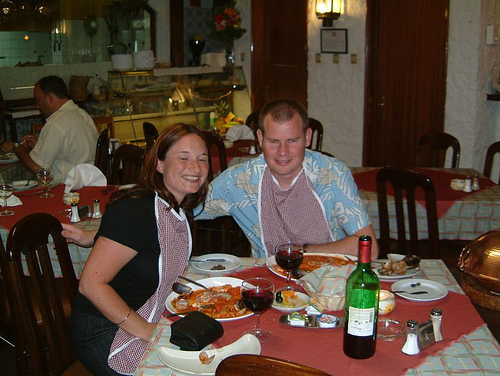 Here’s a (very unflattering) pic of Mike and I enjoying it – the copper pot is to the right of this photo. 1. Heat the oil in a large saucepan. Add garlic, onions and capsicum and heat over medium/low heat for around 10 minutes or until the onion is soft. Reduce heat to low, cover and cook for another 10 minutes. 2. Add the tomato, wine, potato, bay leaves, peppercorns to the onion mixture. Cover and cook for 12 minutes, until the potato is tender. 3. 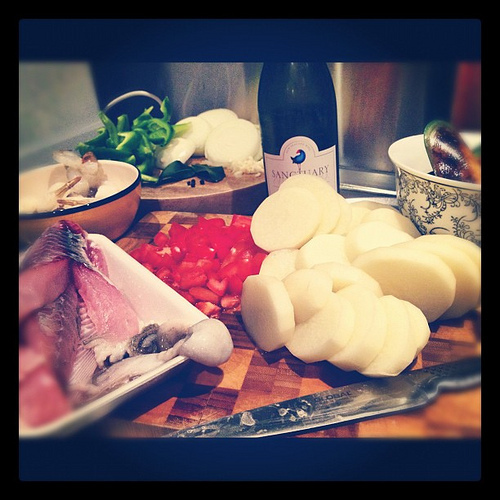 Arrange the fish over the top of the onion mixture, add prawns and mussels. Season with salt and pepper. Cover and cook 10 minutes (until the mussels open). Discard any unopened mussels. 4. Sprinkle with parsley and serve with crusty bread.